With a new mayor, Rokhsana Fiaz and a new administration, the decision has been made to reinstate the event as part of the council’s wide reaching events programme. Mayor Rokhsana Fiaz said: “I’m really pleased that for the first time in many years, Newham Council will be celebrating Black History Month! “It’ll be a chance for us to acknowledge the significant contributions, past and present, to our borough’s rich history of people like Frank Arthur Bailey, the first full time black firefighter in England who joined West Ham Fire Brigade in 1955 and served at Silvertown; or actor Idris Elba from East Ham; or gold medal winning Olympian Christine Ohuruogu from Stratford. The programme will allow residents to explore the meaning of Black History Month and to inform and shape future programmes, ensuring that it genuinely reflects the borough’s Black communities. 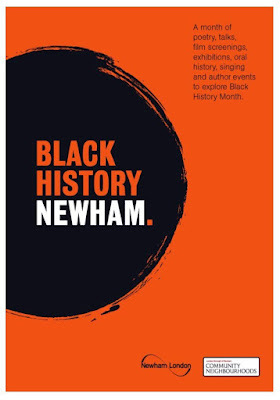 Free film screenings, exhibitions and talks highlighting black history and culture will be staged across Newham in October to celebrate the rich cultural heritage of many of its residents. The events will highlight icons, innovation, achievements and culture through poetry recitals, talks, spoken word and author events. All of the events will have a discussion or question and answer session so residents can share their ideas of how future Black History Months are produced. Events include screenings of Grace Jones’s “Bloodlight and Bami”, an insight into her electrifying concert performances and intimate, personal footage showcasing her life. Marvel’s Black Panther, the ninth-highest-grossing film of all time and the highest grossing film by a black director will also be shown. There will be talks on Pan-Africanism , A History By Professor Hakim Adi and Black Female Authors in Conversation with Jay Lopez and Trina Charles (Curlture); Chimmy Lawson (The Pinker Print); and Yomi Adegoke and Elizabeth Uviebinené (Slay in your Lane), as well as The Cultural Politics of Lovers Rock by Senior Lecturer at Birmingham City University, Lisa Amanda Palmer.